Stephen Champlin (1789-1870) was born in South Kingstown, Rhode Island. 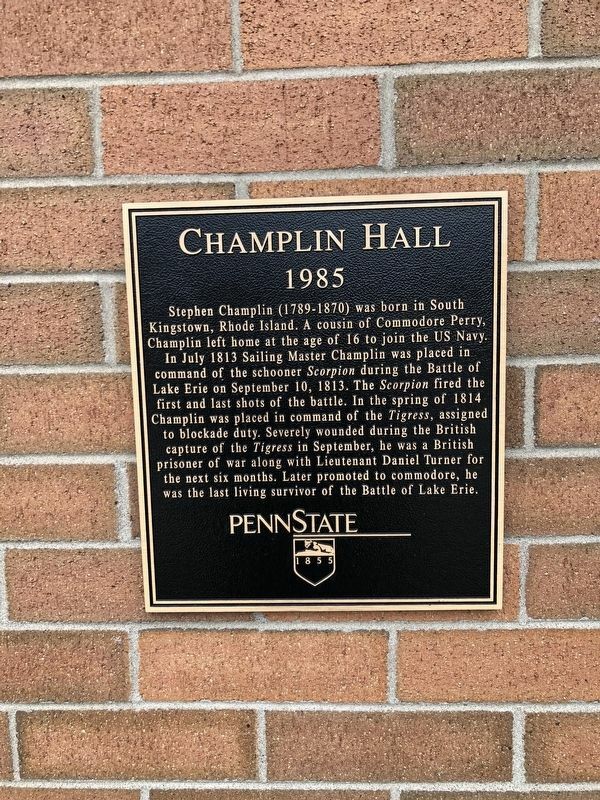 A cousin of Commodore Perry, Champlin left home at the age of 16 to join the US Navy. In July 1813 Sailing Master Champlin was placed in command of the schooner Scorpion during the Battle of Lake Erie on September 10, 1813. The Scorpion fired the first and last shots of the battle. In the spring of 1814 Champlin was placed in command of the Tigress, assigned to blockade duty. Severely wounded during the British capture of the Tigress in September, he was a British prisoner of war along with Lieutenant Daniel Turner for the next six months. Later promoted to commodore, he was the last living survivor of the Battle of Lake Erie. Location. 42° 7.005′ N, 79° 58.909′ W. Marker is in Erie, Pennsylvania, in Erie County. Marker can be reached from Jordan Road south of Technology Drive, on the left. Touch for map. Marker is in this post office area: Erie PA 16510, United States of America. Touch for directions. Packet Hall (within shouting distance of this marker); Scorpion Hall (within shouting distance of this marker); Caledonia Hall (within shouting distance of this marker); Turner Hall (within shouting distance of this marker); Yarnall Hall (within shouting distance of this marker); Elliott Hall (within shouting distance of this marker); Somers Hall (within shouting distance of this marker). Touch for a list and map of all markers in Erie. More. 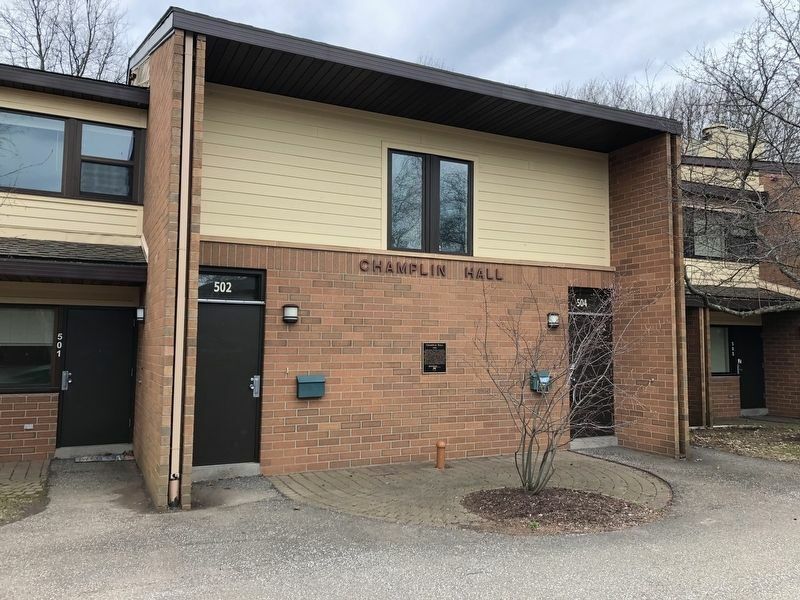 Search the internet for Champlin Hall. Credits. This page was last revised on April 15, 2019. This page originally submitted on April 15, 2019, by Devry Becker Jones of Washington, District of Columbia. This page has been viewed 65 times since then. Photos: 1, 2. submitted on April 15, 2019, by Devry Becker Jones of Washington, District of Columbia.